I hope she mends quickly, MB. Been in a Similar situation myself with my wife, not a shoulder though. My wife is darned near bionic. Two knees replaced and now a shoulder. Having a cold one during the wait to board the plane. Have a great time elof! Have a good one, elof. Best not try any bull fighting while your there. Much safer just "throwing the bull"! Here's some American and Australiana mixed. 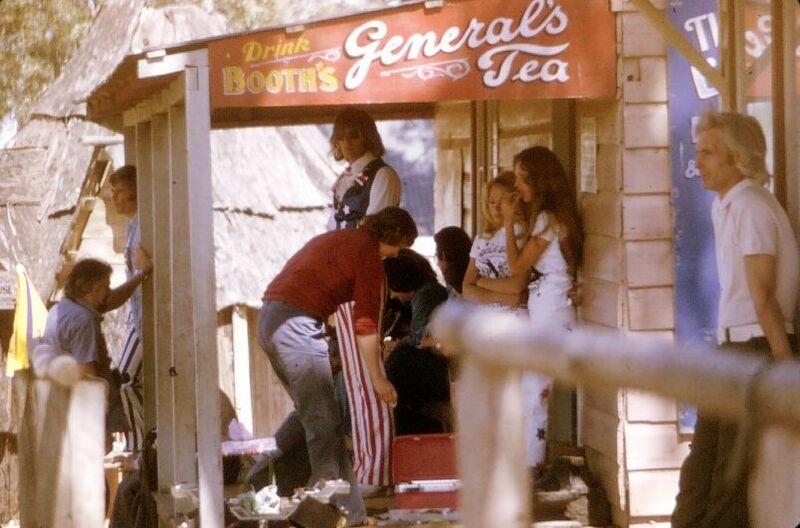 The picture was taken about 45 years ago at the Australiana Pioneer Village for an Uncle Sam commercial, for after shave I think? I was paid to do some horse work, as far as I know the product was never released here. A drink and a rest; sounds pretty good to me! Feels like we've been abandoned, Tom. If we loose elof to a raging bull while he's away, it'll be disastrous. Generated in 0.169 seconds in which 0.158 seconds were spent on a total of 14 queries. Zlib compression enabled.